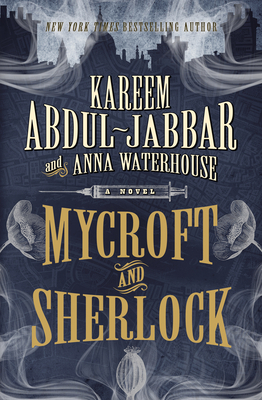 The new novel by NBA All-Star Kareem Abdul-Jabbar, starring brothers Mycroft and Sherlock Holmes. It is 1872, and a series of gruesome murders is the talk of London. Mycroft Holmes--now twenty-six and a force to be reckoned with at the War Office--has no interest in the killings; however, his brother Sherlock has developed a distasteful fascination for the macabre to the detriment of his studies, much to Mycroft's frustration. When a ship carrying cargo belonging to Mycroft's best friend Cyrus Douglas runs aground, Mycroft persuades Sherlock to serve as a tutor at the orphanage that Douglas runs as a charity, so that Douglas might travel to see what can be salvaged. Sherlock finds himself at home among the street urchins, and when a boy dies of a suspected drug overdose, he decides to investigate, following a trail of strange subterranean symbols to the squalid opium dens of the London docks. Meanwhile a meeting with a beautiful Chinese woman leads Mycroft to the very same mystery, one that forces him to examine the underbelly of the opium trade that is enriching his beloved Britain's coffers. Kareem Abdul-Jabbar is a huge Holmesian--7'2" tall, basketball's all-time leading scorer, and a U.S. cultural ambassador. He's written extensively, including What Color is My World (children's), Brothers in Arms (military history), and On the Shoulders of Giants (black history). His novel Mycroft Holmes, starring Sherlock Holmes less well known but far more talented older brother, was published in 2015. Anna Waterhouse has sold and/or optioned several scripts, consulted on a feature-length doc for HBO, was supervising producer/co-writer of Netflix/Showtime's "On the Shoulders of Giants,"&#8203; which won an NAACP Image Award for best documentary, has taught screenwriting at both Chapman University and at U.S.C., and is currently working on a limited series with acclaimed writer Robert Towne. "Fans of Conan Doyle will appreciate the period accuracy, but a much wider audience will enjoy the intelligent treatment of race and social standing as part of a well-­plotted, intriguing mystery."